The Detroit Lions will get Calvin Johnson back in their Week 10 matchup with the Miami Dolphins. Megatron has been a shell of himself since Detroit's Week 1 win over the New York Giants. Johnson caught 7 of 11 targets for 164 yards and two touchdowns. Since then, in 4 games, Johnson has just 15 receptions for 184 yards and 0 scores. This is great news for Matthew Stafford owners, and not so great news for Golden Tate owners. 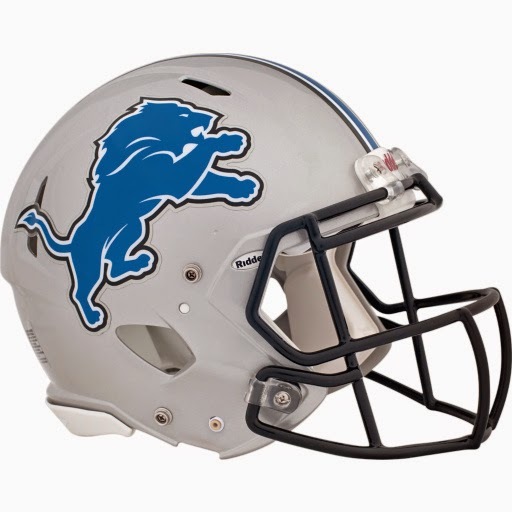 Tate has put up 115+ yards in 4 of the Lions last 5 games, including back-to-back 150 yard games and 3 TDs in 4 games. The Lions continued winning without Johnson and with Stafford completing less than 60% of his passes in 3 of the Lions last 4 games. Stafford has yet to throw for more than 2 TDs in a game this season! His mediocre season has turned him into the 15th ranked QB in half PPR fantasy football. This is a guy that who owned an ADP of 36 entering the start of the NFL season. The Miami Dolphins own the 2nd best pass defense in the NFL. Only the Kansas City Chiefs hav allowed less passing yards and the Dolphins 25 sacks, led by Cameron Wake (6.5) and Olivier Vernon (4.5,) ranks near the top in the NFL. They have allowed just 95 receptions and 5 touchdowns to WRs all season long. They have also limited RBs to just 283 receiving yards and 3 TDs on 39 receptions. Joique Bell, Reggie Bush and Theo Riddick will have to make the most of their touches.